There’s a new food trend sweeping the nation—and no, it doesn’t come in the form of an overplayed mash-up like the cronut. This time it’s imported straight from Japan. The dessert, dubbed the “raindrop cake” in New York, “mizu shingen mochi” in Japan, and simply “crystal kinako” here in L.A., has just about as many names as Daenerys Stormborn. But whatever you call it, it’s enchanting. The cake looks like a gigantic drop of water on a leaf, or it could easily be mistaken for a breast implant. And then there’s the hypnotic jiggle of the delicate bubble. This sweet has been making waves stateside since it was featured earlier this year at Brooklyn’s food market Smorgasburg, but we’ve actually had a West Coast version right under our noses at Kimukatsu for the last year-and-a-half. 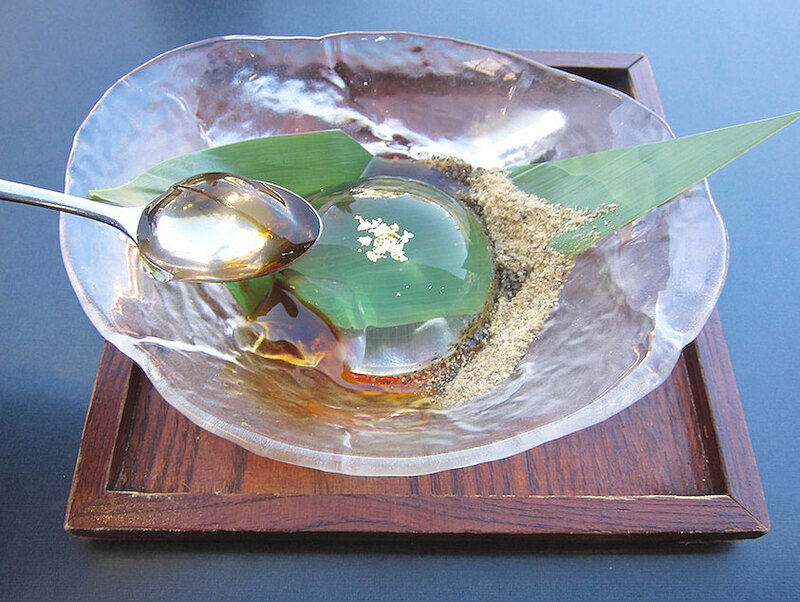 The tonkatsu restaurant’s manager Ryota Imai says that after he heard about this Japanese dessert, he felt compelled to learn how to make it himself. His crystal kinako is composed of water and agar—an extract from seaweed—which makes a gelatinous substance without actually using gelatin. Basically, it comes out as a bland, vegan jelly. It gets its flavor is from the black, molasses-like syrup it sits in, and the mixture of kinako (roasted soy flour) with black sesame powder that accompanies it. To take things up a notch, it’s topped with edible gold flakes. Unlike any other agar jelly I’ve tried, the texture of this one is lighter and as close as you can get to a smoother, melt-in-your-mouth jello. The water bubble alone is similar to the classic Asian grass jelly dessert. If you can get a perfect bite with the black syrup and powdered kinako together, then you’ve succeeded. The syrup tastes similar to the caramel that sits on top of flan, and the kinako-sesame powder gives it a nutty flavor. The crystal kinako is formed with a mold and can keep its shape in the fridge for a couple of days, but once it’s at room temperature, it will melt into a puddle of water in just a few hours, Imai says. This is by no means a filling dessert—you’re practically eating water here. But this is one sweet that’s worth the hype. 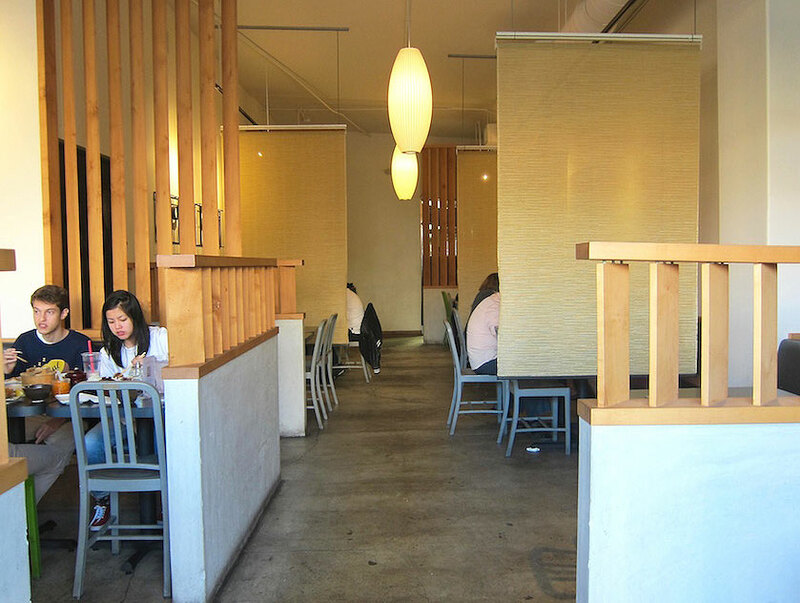 Head to Kimukatsu (2121 Sawtelle Blvd.) to try the dish out for yourself. You’ll also be able to find it at Smorgasburg’s West Coast market in downtown L.A. when it launches next month.